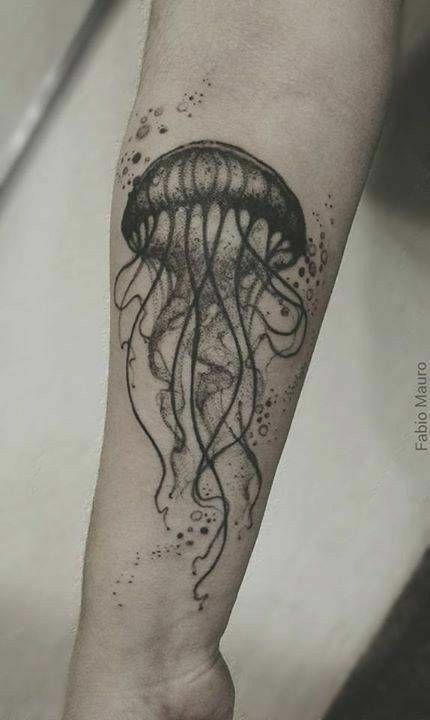 One of the most majestic and also the most mysterious creatures of the ocean deep are the jellyfishes. 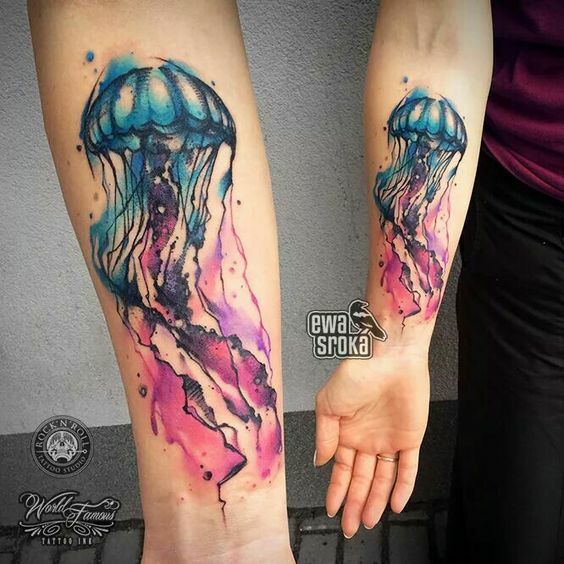 Not really sure why they are grouped with fishes, but these sociable tentacled “slimies” have a reputation that exceeds their expectation. 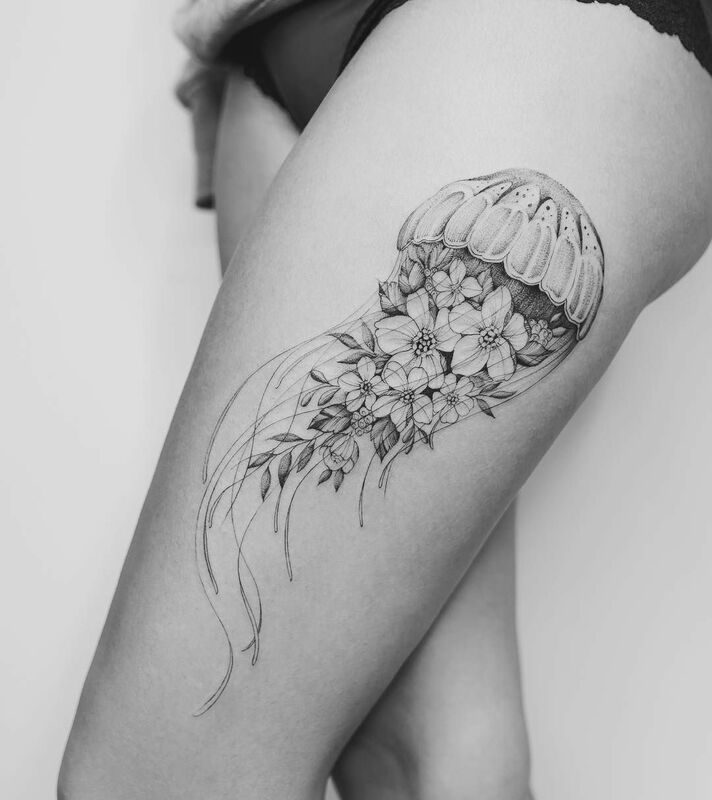 Jellyfishes are animals that define the saying, “looks can kill”. 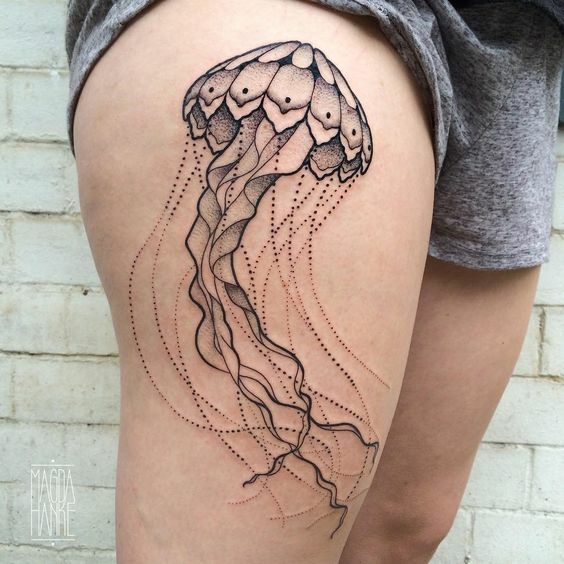 Most species of jellyfish have stings that are very harmful to other living organisms especially to humans, where staying away from them is the best course of action. 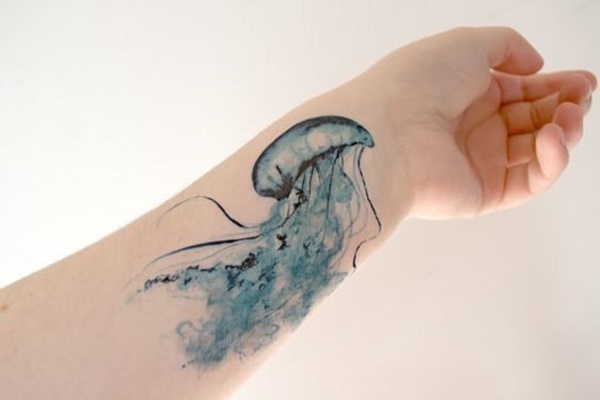 Once you’re stung, you may need to seek immediate medical attention because the allergies it can cause may be too much for you to handle. 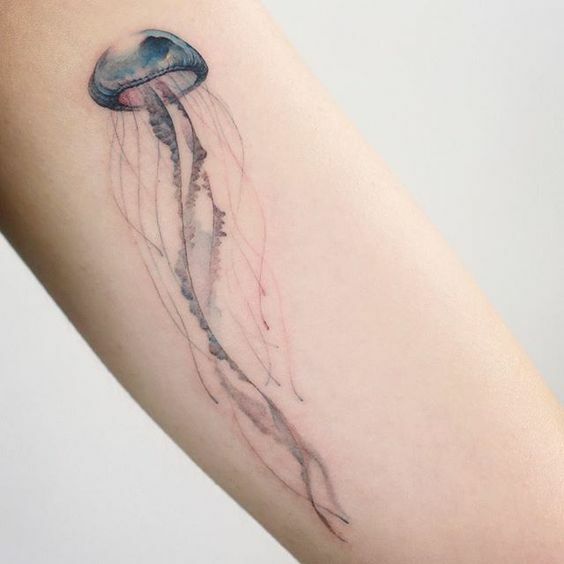 However, beyond its dangerous strikes and rap sheet, the physical appearance of jellyfishes and the things they can do in the water are really sights to behold. 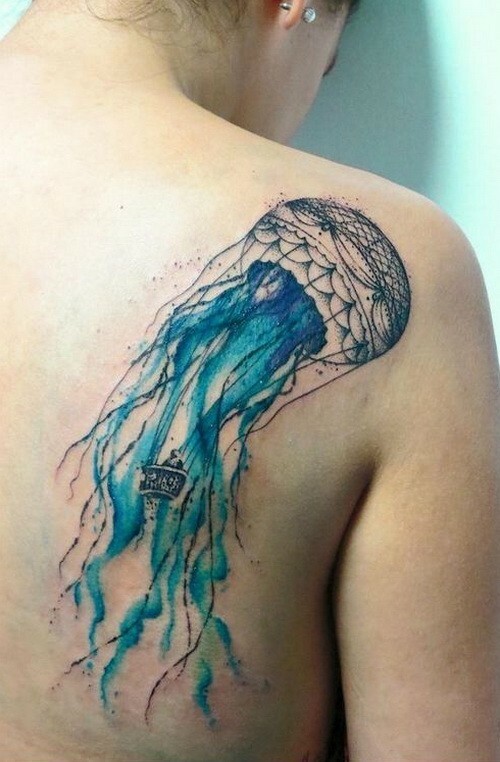 Some are transparent, some are bio-luminescent, some swims like flags, while others look like boxes. 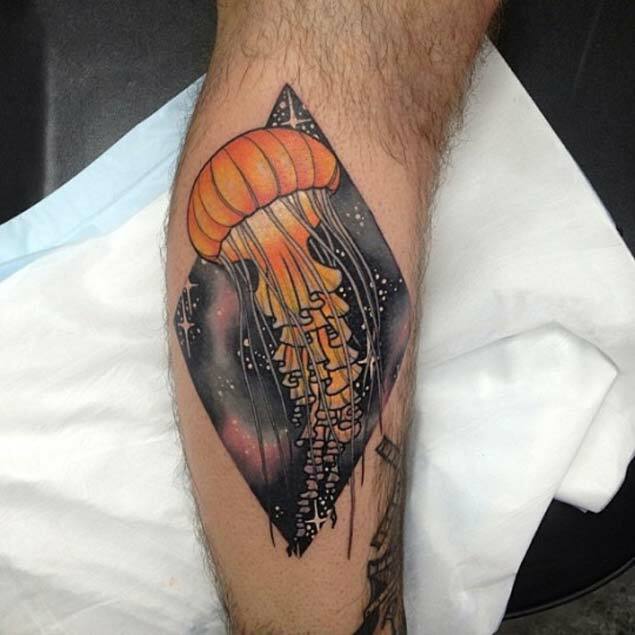 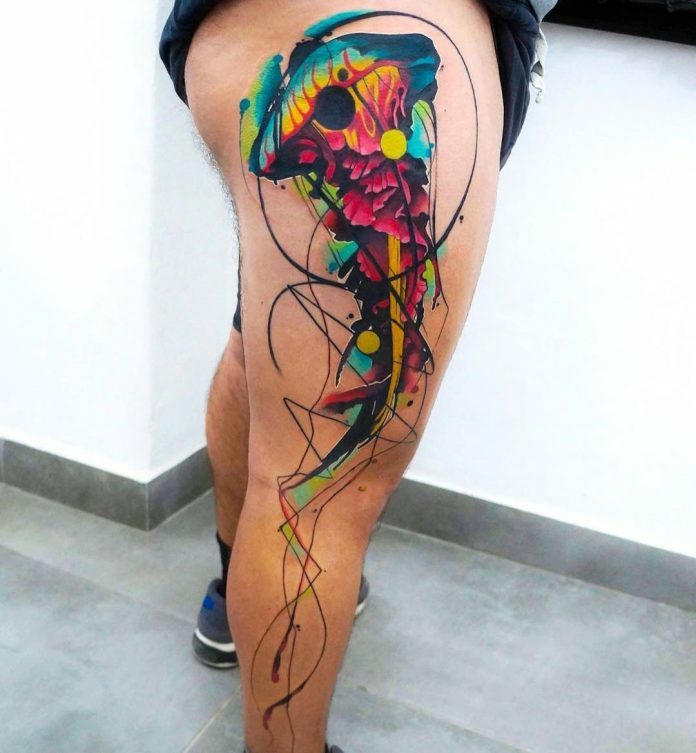 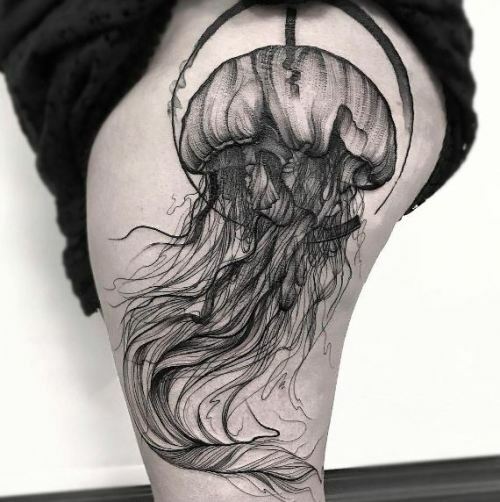 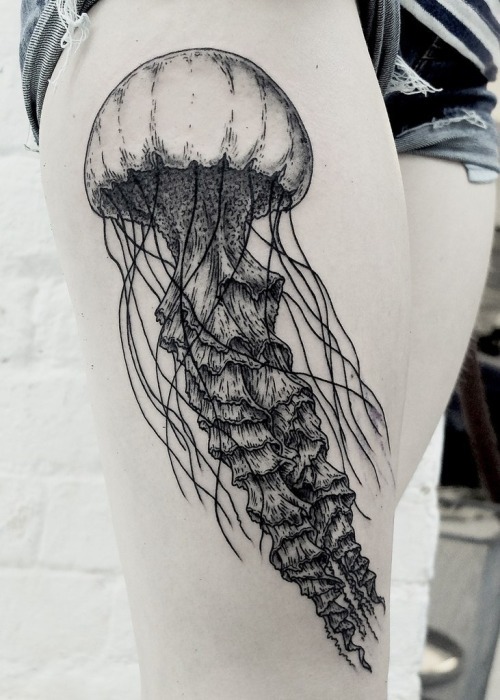 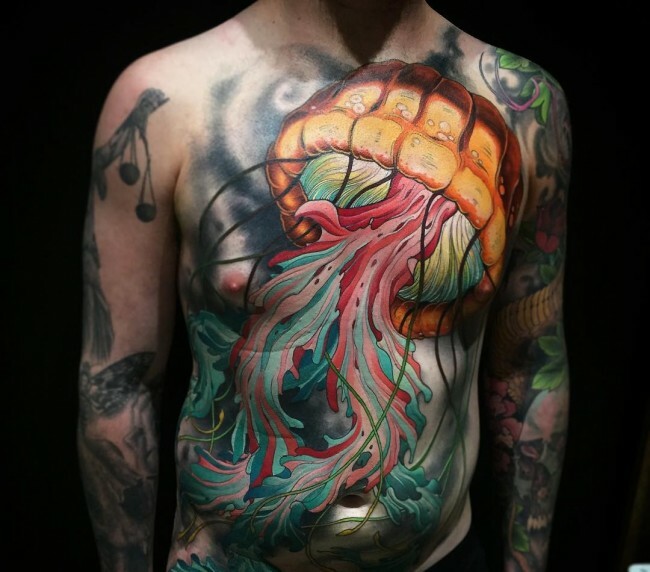 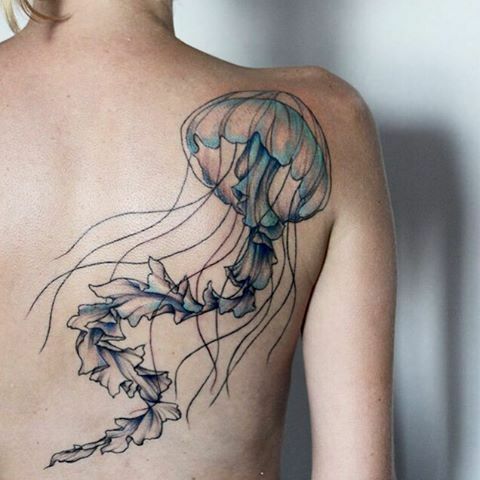 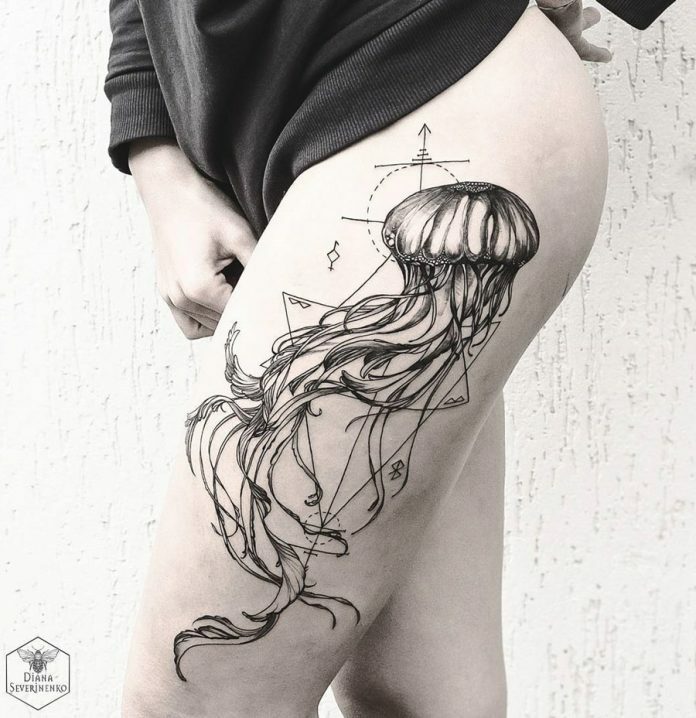 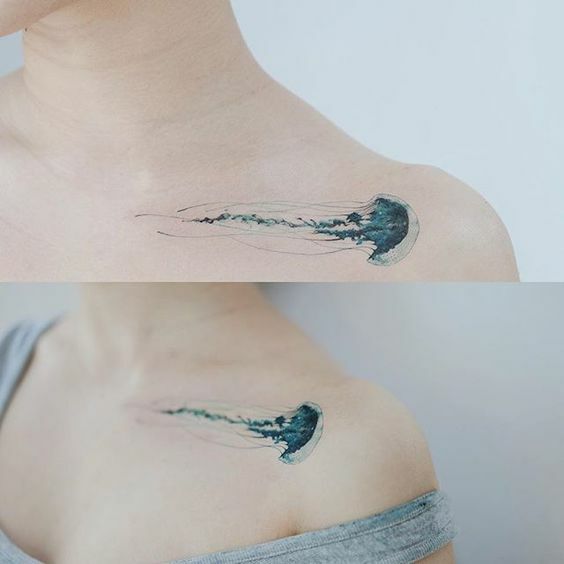 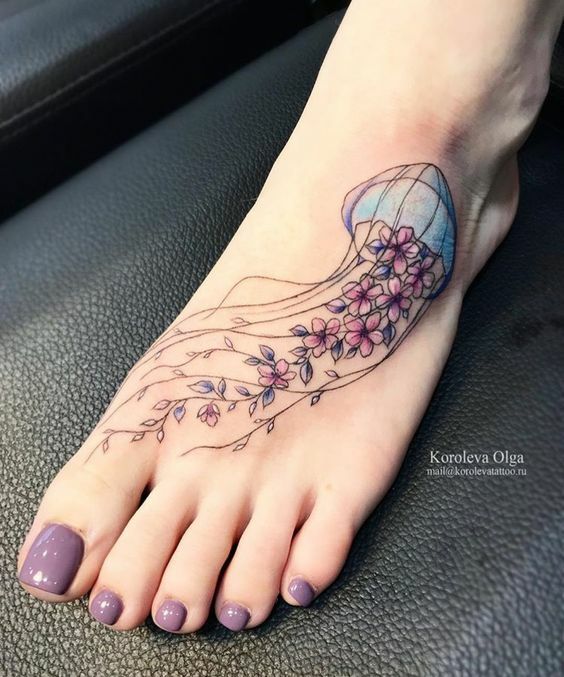 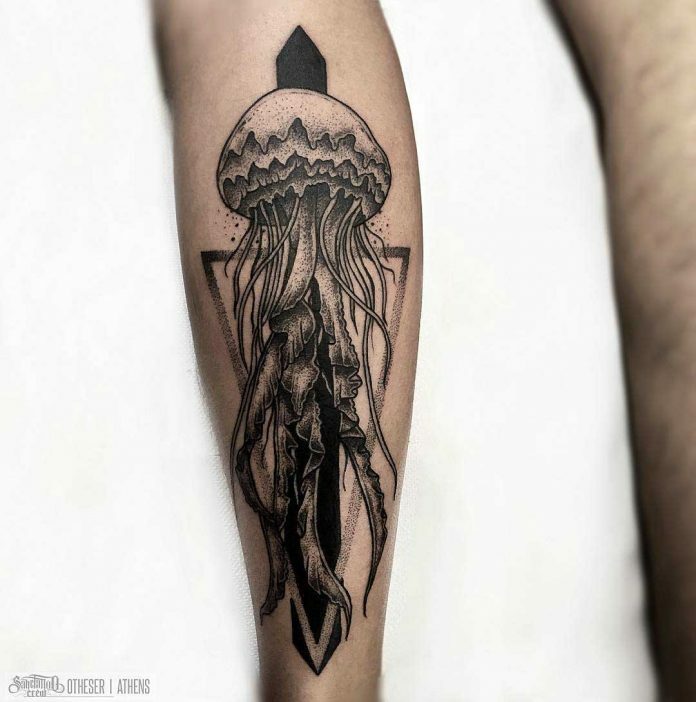 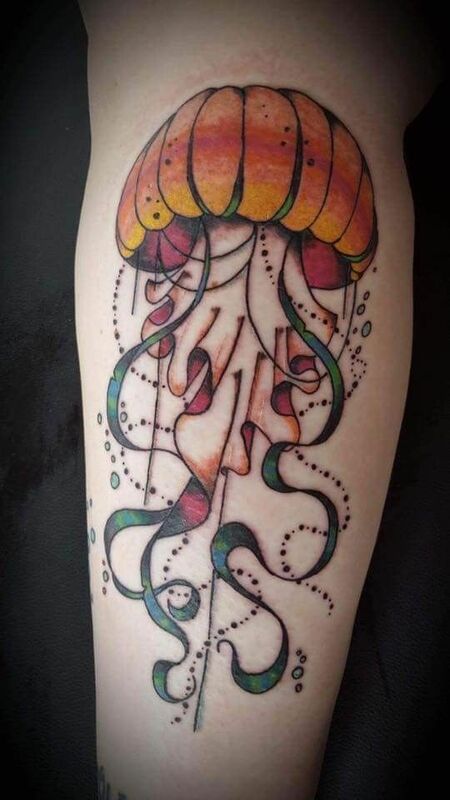 It is with this diversity in looks and characteristics that both tattoo masters and enthusiasts like about jellyfishes. 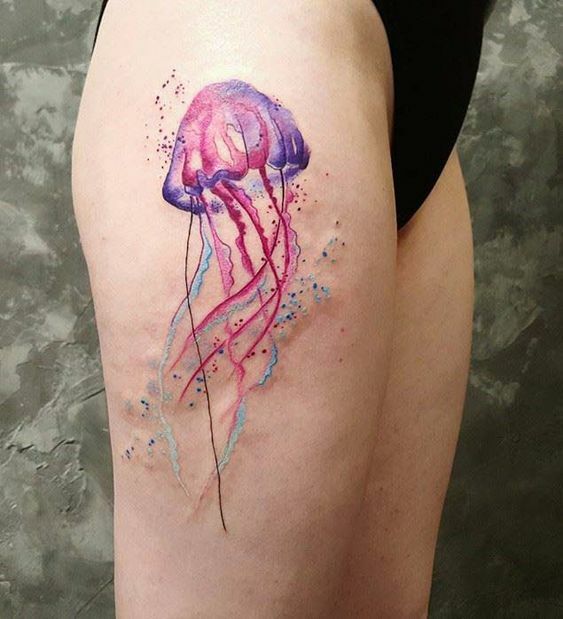 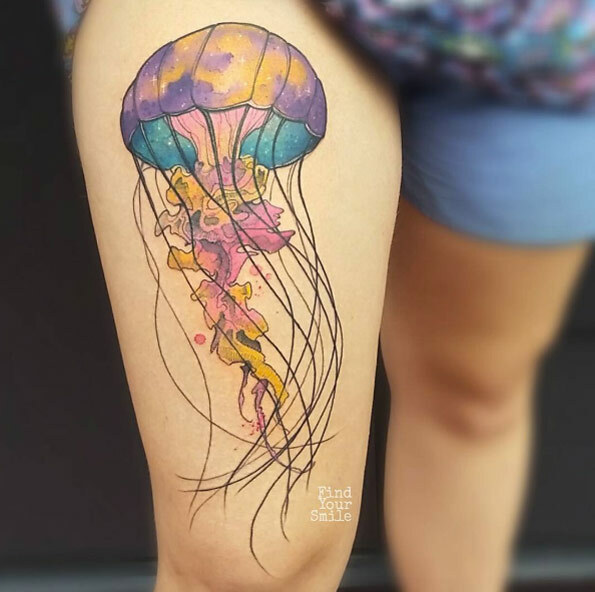 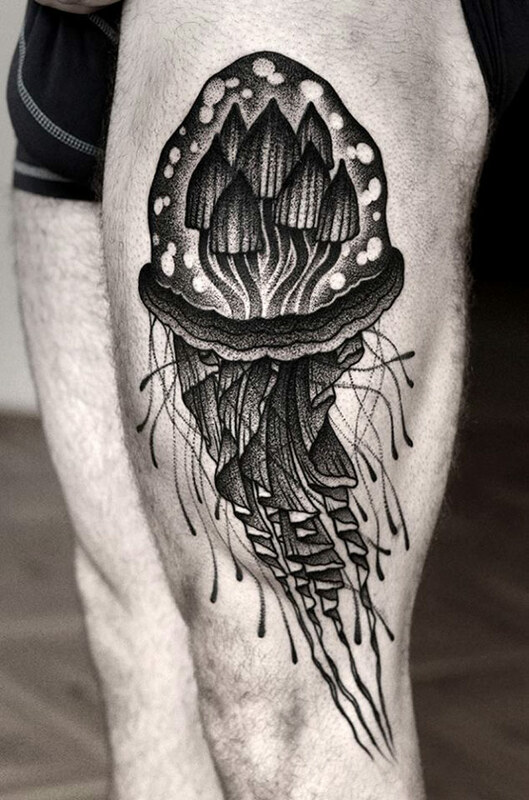 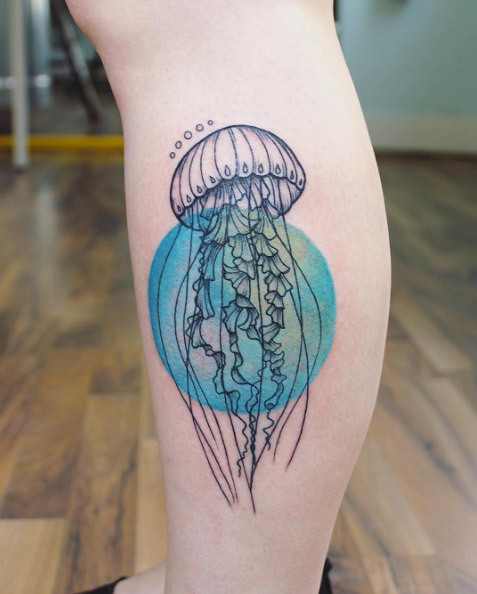 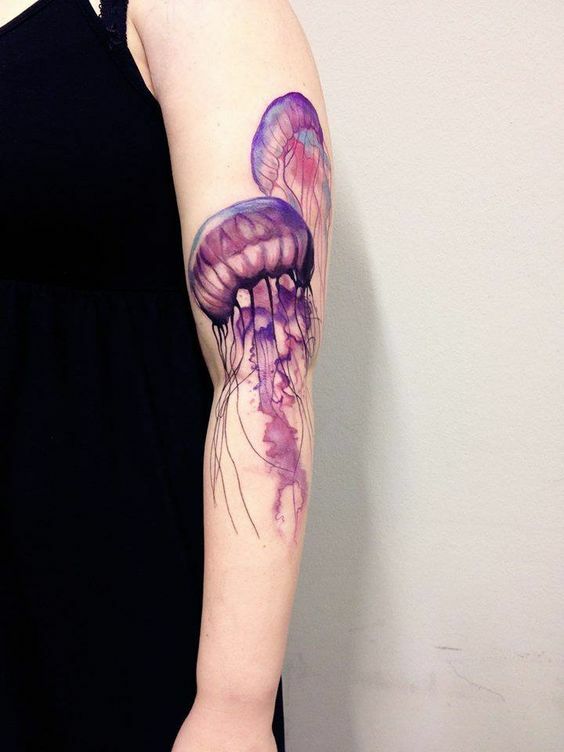 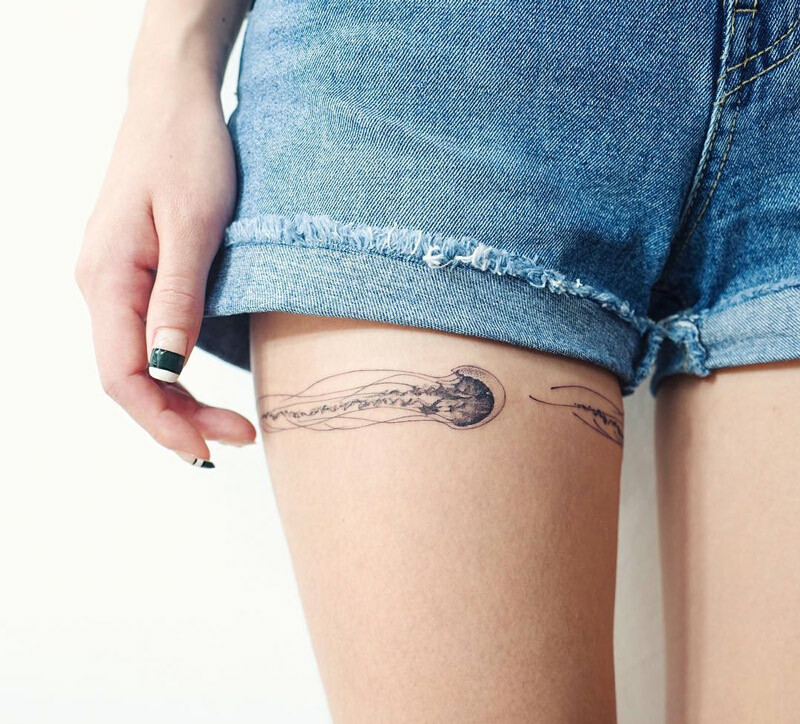 Jellyfish tattoos ranges from caricature types up to the most detailed 3D renderings. 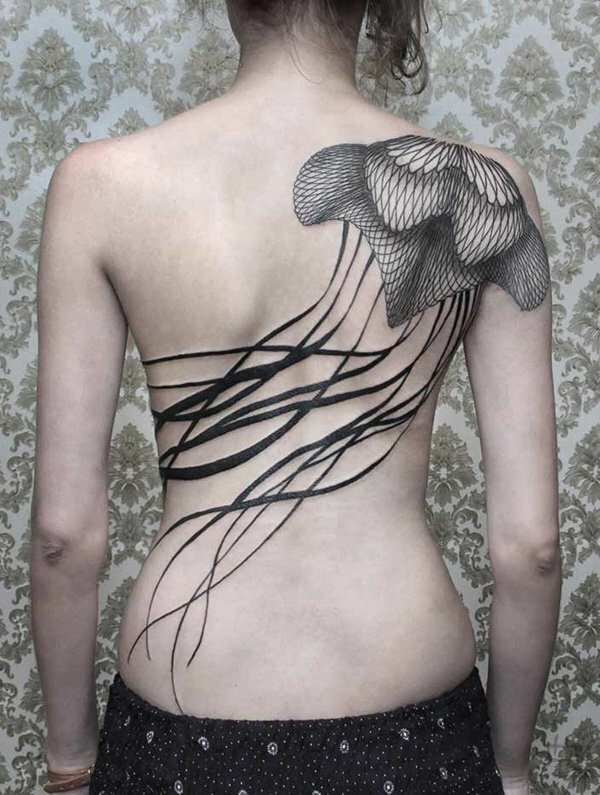 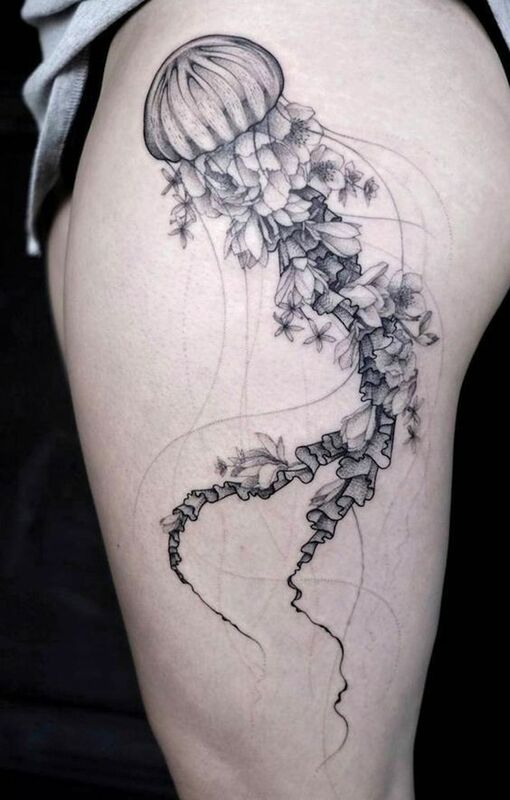 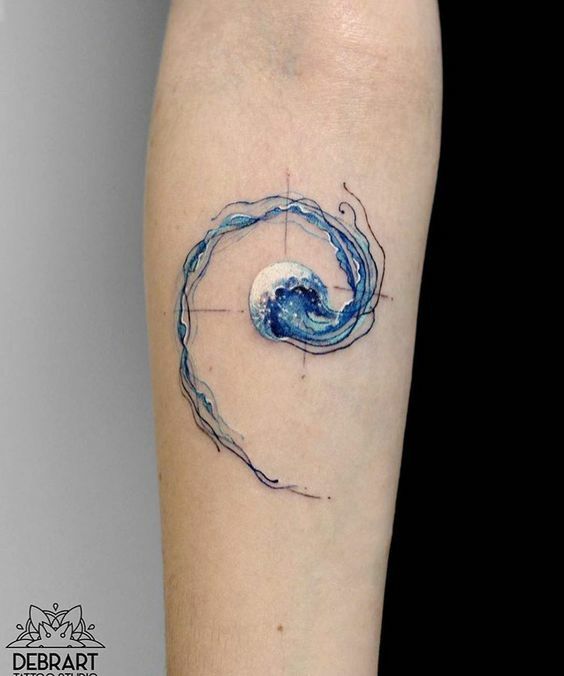 The fluidity of its tentacles enables tattoo artists to manipulate the skin coverage of one art to other!